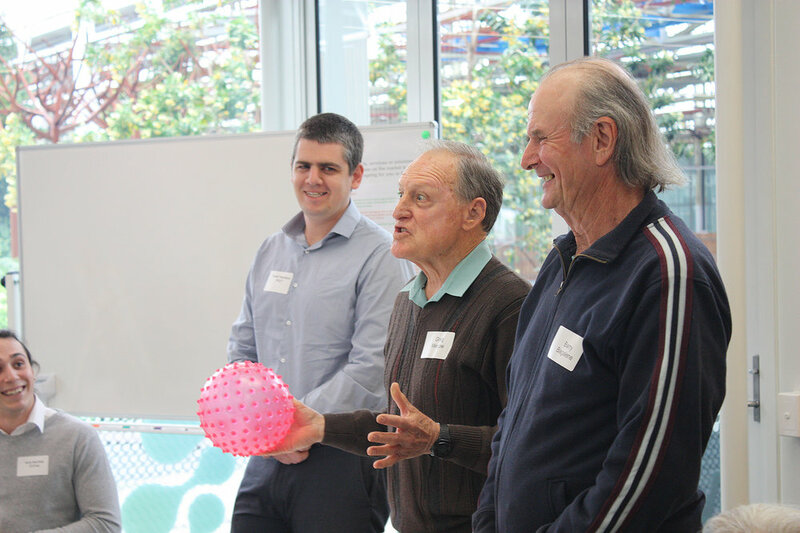 Our world class living lab unites older people, businesses, and researchers to co-design and validate products, services and experiences, that will better serve the lives of ageing people in Australia and around the world. The GCMA is an innovation partner of ENoLL. The European Network of Living Labs (ENoLL) is the international federation of benchmarked Living Labs in Europe and worldwide. ENoLL counts today over 150+ active Living Labs members. worldwide. As an innovation partner of ENoLL, GCMA has access to work with all the ENoLL living labs globally. ALLiN is a platform to build the capacity of living labs in Australia to collaborate with each other, end users and citizens to create solutions for people, prosperity and the planet. 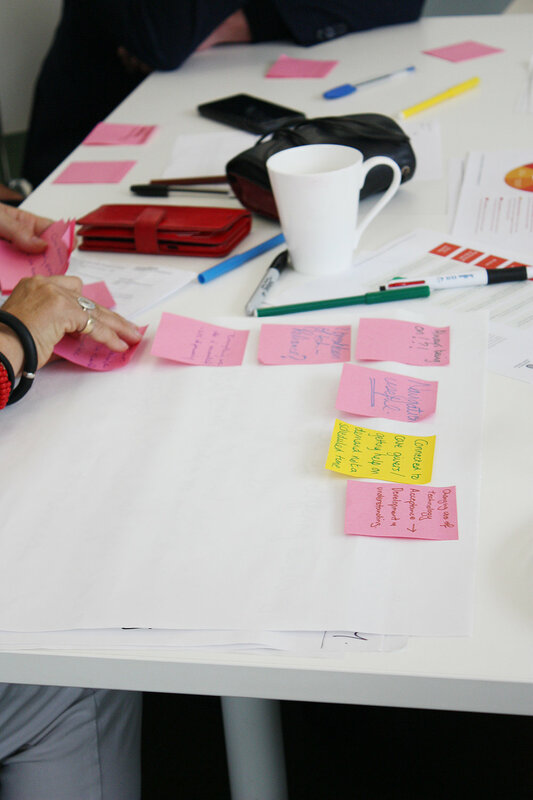 The main idea of a living lab is to design innovations on a user-centred basis. Living Labs are often defined as open innovation ecosystems based on systematic user co-creation approach, integrating research and innovation processes in real life communities and settings. Living Labs gather businesses, researchers, authorities, and citizens work together for the creation, validation, and test of new services, business ideas, markets and technologies in real-life contexts. Facilitating accelerated product development. Our LifeLab presents a unique opportunity for our clients to accelerate product development by providing high quality user-centred co-design and research services. This process ensures real-life market demand and users’ insights are incorporated into the product development process. Our space was purpose built for innovation. The LifeLab is designed to accommodate a number of simulated environments and incorporates sophisticated video and audio data recording systems to capture user interactions. The spaces can be configured to simulate multiple domestic, training, social and office environments, and features a fully functional kitchen with operational gas and electric appliances. 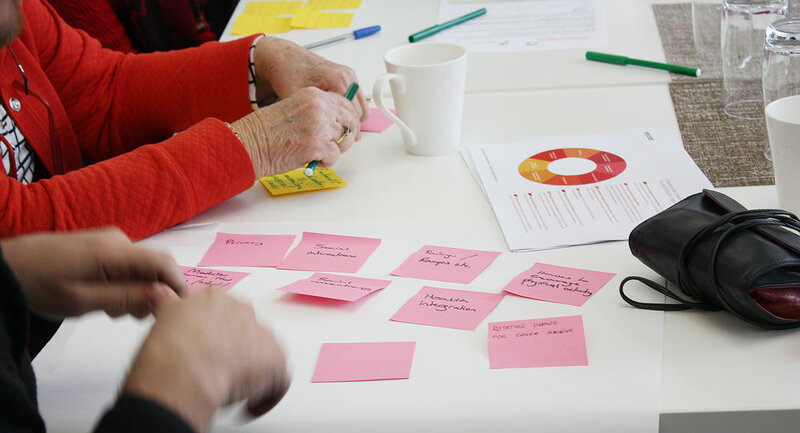 It has been purpose-built to capture and analyse user behaviour in relation to emerging product and services in the modern ageing industry sector. Tailored business solutions : To do so, we offer different kinds of living lab services to companies. In each project, older end users are an essential part of the process. LifeLab projects can be conducted at all stages of the product development cycle. Evidence based research. LifeLab provides proven mixed methods to best suit the clients’ needs, adapted to the needs of the project. For instance, at the beginning of the process contextual inquiry may add value, whereas towards the end, validating solutions in real life trials may facilitate market entry. LifeLab offers ethnographic studies in real life settings to ensure the product design best reflects user behaviour and meets their needs. Access to engaged user co-designers. LifeLab has access to a broad community base and can tailor groups of co-designers to meet the requirements of companies targeting particular segments of the market. Real life trials. Validating innovative products and services in real life settings with end users to gain valuable insights before market entry. In its work, LifeLab maintains the highest quality: being open, respectful, and adhering to high standards of ethics, privacy and secure data storage. Target market segments include food, packaging, assistive devices, technology, active living, tourism, media, manufacturing, education and lifelong learning. LifeLab is a wholly owned division of the GCMA.